Justin Bieber decided it was time to turn his life around...at 3AM! Hillsong Church formed in the back room of an old library in Sydney, Australia in 1983 and now has over 75,000 members worldwide. From the music of the church’s mainstream band Hillsong United, to the passionate sermons of Pastor Bryan Houston, to the bustling satellite churches, Hillsong Church has transformed the lives of thousands. If you know this church, then you know that God is using it to build His Kingdom. A defining feature of this Pentecostal megachurch is its willingness to serve others. Nowhere is this more evident than in NYC Hillsong’s hipster pastor Carl Lentz’s 3 AM baptism of celebrity pop singer Justin Bieber. 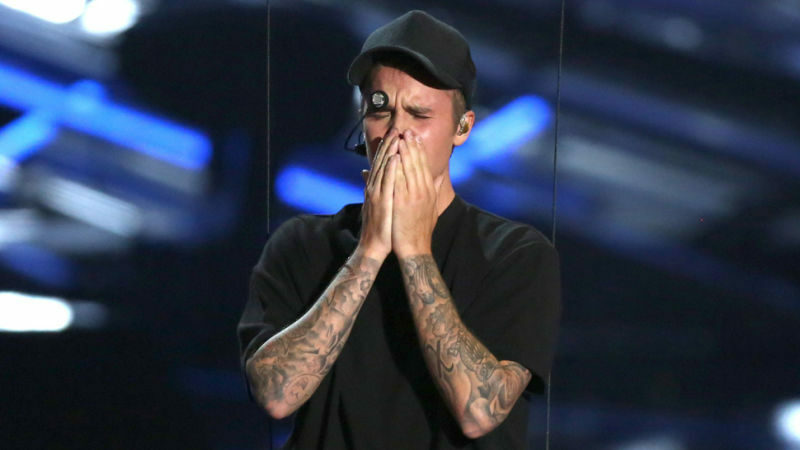 Despite his religious background, Justin Bieber, like many teen celebs, has struggled with his fair share of controversies. After Justin’s vandalism, drug and alcohol abuse, and politically incorrect jokes featuring the n-word, even Beliebers were beginning to wonder if he could make a comeback. Lentz met with him privately to discuss baptism, but Justin wanted to know what baptism would mean in his current situation. After Lentz explained that Jesus was baptized and commanded His followers to be baptized as “an outward sign of what is inward,” Justin was sold. But the thing is that Justin Bieber didn’t want to wait. And neither did Lentz. Once Justin had made his decision to recommit his life to Christ through baptismal dedication, he wanted to do it right then. The urgency of a (re)commitment to Christ is more powerful than the urgency of partying or fame. Indeed, Justin Bieber and Carl Lentz tried to ditch “a million paparazzi people” that were following them to find a water oasis for baptism. After trying but failing to get into four different places for baptism, Lentz called up his friend—former NBA player Tyson Chandler—to see if they could use his pool for Justin’s baptism—at 3 AM. The request didn’t faze Chandler or his wife, who had snacks ready for Lentz and Bieber when they arrived. This shining example of service to others is common in Lentz’s church. Chandler’s pool wasn’t available, but he offered that they could use his bathtub—specially designed for a seven-footer. This seemingly unholy place—a bathtub? !—was made holy through baptism. Bieber, an A-list celebrity, humbly submitted himself to His heavenly father and welcomed a deeply personal relationship with Christ. His sense of urgency signaled his great desire for a personal Savior. Justin’s radical step out in faith is not only a sign of his own transformation, but a beacon of light for others to follow. What would you do if someone you knew called you at 3 AM and said they really wanted to be baptized?